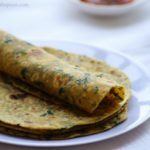 If you are looking for more Methi Recipes then do check Methi Na Gota, Menthi Kura Pappu, Methi Corn Pakoda, Methi Millet Pulao, Methi Sambar, Methi Jowar Roti, Methi Carrot Subzi and Methi Poha. Crush the garlic and green chilli into a little a little course paste and set aside. Wash and chop the fenugreek leaves and keep it aside. Heat 2 teaspoons of oil in a pan. Add the cumin seeds and fry for a few seconds. Then add the ginger garlic paste and fry for a few seconds. 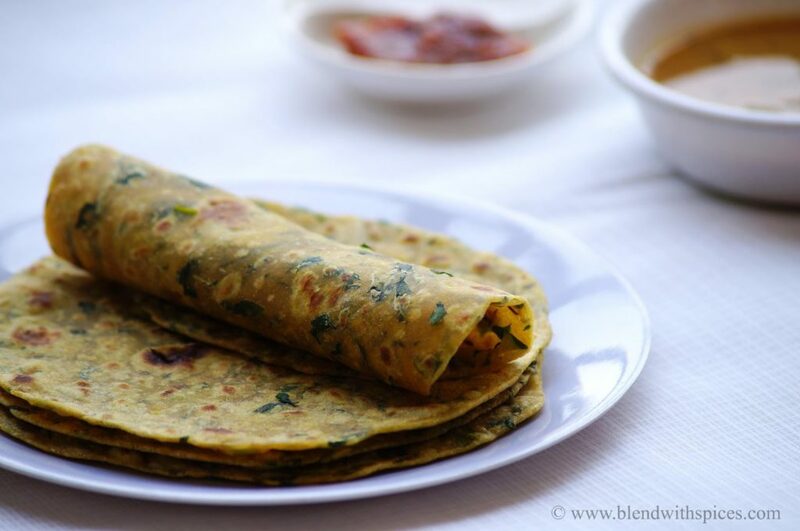 Add the chopped fenugreek leaves and turmeric powder and fry for a couple for minutes or until it wilts. Take the flour, salt and fenugreek mixture in a bowl and combine. Make a smooth and pliable dough by adding water little by little. Knead it well. Cover the dough and keep it aside for 30 minutes. Roll each ball into a circle. Heat a pan and place the paratha on it. Cook each side with little oil until brown spots appear on both sides. 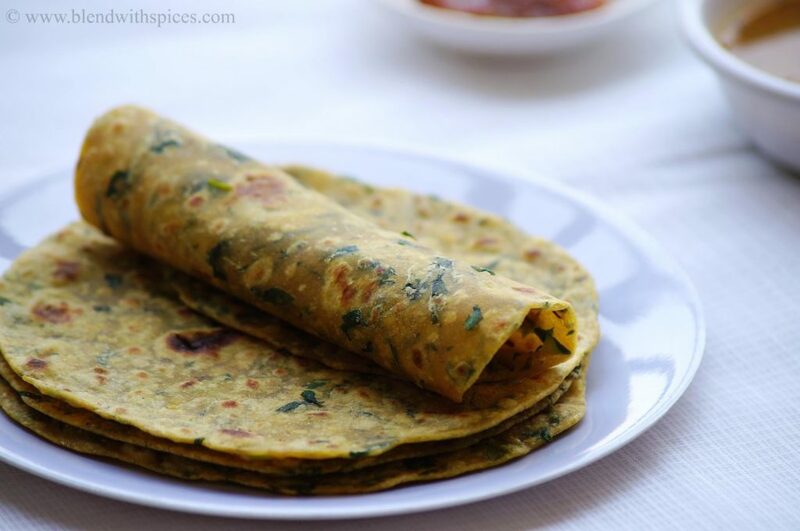 Once the paratha is cooked and browned, remove from the pan and keep it in a bowl or roti basket. Keep covered to maintain softness. Serve hot with pickle and raita. one more way to make parathas healthy.